Amongst the dozens of requests that we get from our readers, we noticed that one was unique in that it mentioned VII.V Mindset. This product is quite unpopular, so we were initially surprised to see someone interested. However, we realize that just because a particular is uncommon does not suggest that it has low value. 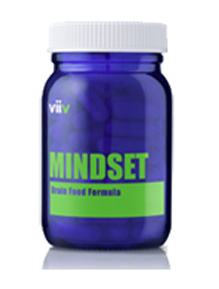 As a result, we decided to do some research in order to provide you with enough information about VII.V Mindset. As we look through the brand’s official website, we can see that they’re a huge fan of simplicity. The bottle design is a plain dark blue with a green font. For each of the product, VII.V provides an overview, a list of the ingredients and what they do, what the product can be used for and what makes the product unique. So it seems that VII.V has given their marketing practices a lot of consideration, because they address a lot of different potential questions. This makes it easier for the customers to understand the product and for us to evaluate the quality of it. So who is VII.V or Sevenpointfive? Although they may seem like a typical supplement company, they actually have quite an interesting approach. Their target audience is everyone who feels like they’re constantly tired, relentless or just isn’t achieving their fullest potential. Then they invite these people into their 3-step journey. First, you are meant to use the Live Blood Analysis. This is a test where a bit of blood is taken from your finger and placed under a microscope. After running several tests, the company will then find what particular imbalances or deficiencies that you have in your body. The second step involves guidance into which Sevenpointfive product you should purchase to match your individual issue. Lastly, the company will suggest you better lifestyle choices that you could make to overcome your personal problem. ChromeMate: Works with insulin and balances blood sugar levels. Coral Calcium Powder: Increases absorption of other ingredients. GABA: Although an increase of this neurotransmitter would produce calming effects, research has found that taking GABA orally would not produce any results because the substance cannot effectively cross the blood-brain barrier. L-Glutamine: An essential amino acid that helps proper functioning. L-Tyrosine: An essential amino acid that helps proper functioning. Niacinamide: Maintains proper functioning and health of the nervous system. Valerian Root: Produces calming effects. L-OptiZinc: Increases availability of zinc in the body, which helps growth and development. Also works as an effective antioxidant. These ingredients are fine and may work well for some people, but we do have to admit that it is not the best and most potent formula we have come across. The use of GABA was a downside because research has consistently shown that the substance cannot product effects when taken by mouth. The other substances in the list are important vitamins and amino acids, which would improve your health and well-being. Two of our members here at BrainEnhancementAdvisor.org decided to test out Mindset. Although the experiment was initially planned to be 2 weeks long, we stopped at the end of week 1 because we felt that we had information to evaluate the product. The users reported feeling more calm and relaxed. Some days the product would work more effectively than others, but overall their anxiety levels decreased and they did not feel as agitated during stressful situations. The results were not too strong and definitely were not surprising. It was a nice product to take because it did relieve anxiety and improved sleep, but we did not notice any changes in terms of concentration or memory. The cost of one bottle is $33, which is quite a reasonable price for the results that we noticed. Sevenpointfive’s Mindset is quite a good product because it accomplishes most of it promises. Taking the product will result in a relief of anxiety, better sleeping patterns and a control of hyperactivity (at least it did for us!). We unfortunately could not find any other customer reviews online, which means that we cannot guarantee how the product will work for you. Based on our experience alone, we would recommend the product if you’re looking to reduce stress and have better sleep.